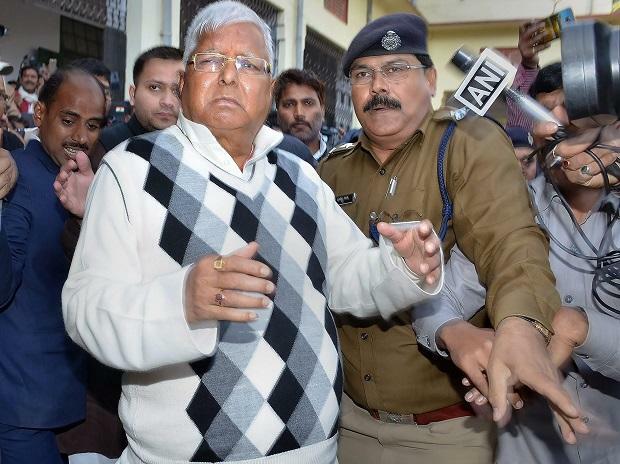 A Delhi court Thursday granted interim bail till January 19 to RJD chief Lalu Prasad in two Indian Railway Catering and Tourism Corporation (IRCTC) scam cases filed by the CBI and the ED. Special Judge Arun Bharadwaj granted relief to Prasad after he was produced before the court through video conference from a Ranchi jail, where he is lodged in another case, as he was unable to come due to health reasons. The court directed both the Central Bureau of Investigation (CBI) and the Enforcement Directorate (ED) to file their replies to Prasad's application seeking regular bail in both the cases. The cases relate to alleged irregularities in granting operational contract of two IRCTC hotels to a private firm. The court had earlier granted regular bail to Prasad's wife Rabri Devi and son Tejashwi Yadav in the CBI case, while they are on interim bail in the ED matter, which was extended till January 19, the next date of hearing.